This nature-inspired angular clock is hand-made and one-of-a-kind! 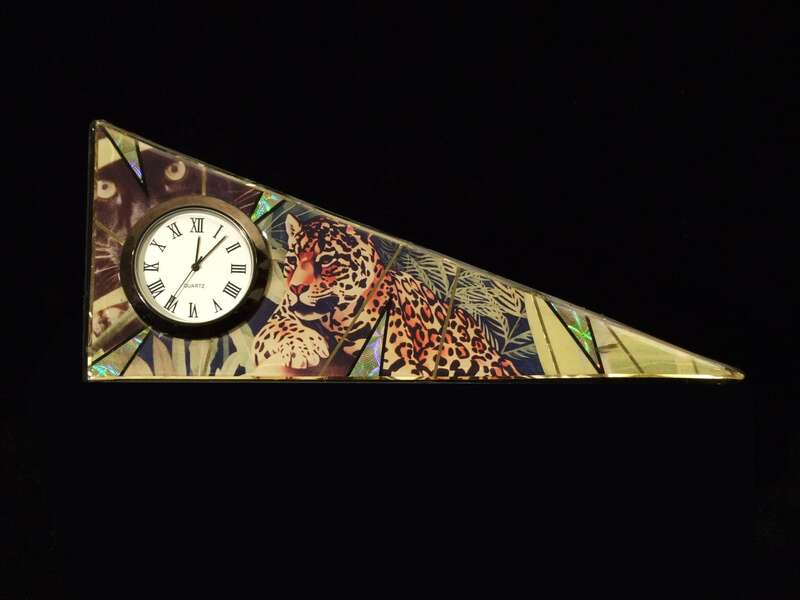 The clock is made using fiberglass and inlaid images, accented with gold foil! Featuring the image of a jaguar in the wild, it is the perfect addition to any nature-lover's home! For questions about custom orders please contact us!